YOU STILL HAVE TIME! 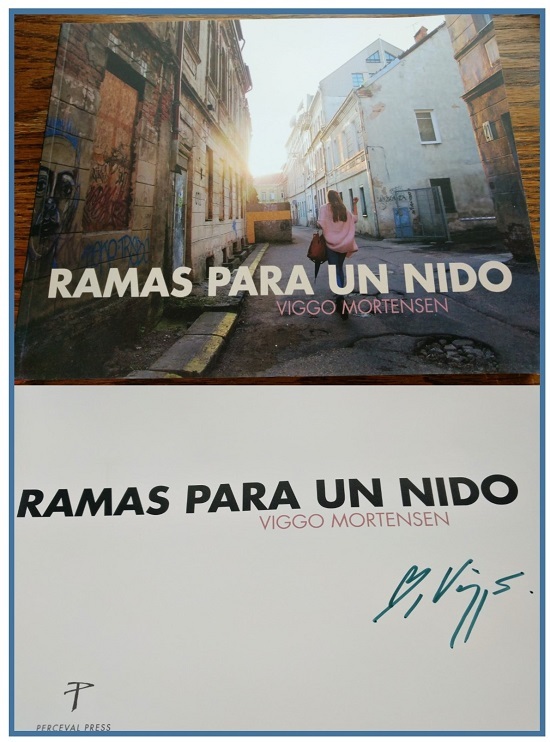 You Can Still Be In The Running For A Copy Of RAMAS PARA UN NIDO Signed By Viggo! We have almost reached our goal! We can smell the goal line! We ask for your support for the cost of our webserver to keep Viggo-Works running. Those of you who have contributed over the years have earned our undying gratitude. Thank you all so very much. Please contribute, as you are able, to keep us going so that we can continue to enjoy Viggo-Works every day and every week. WE WILL GIVE AWAY THE SECOND SIGNED COPY ON AUGUST 31!! THOSE OF YOU WHO HAVE ALREADY CONTRIBUTED ARE AUTOMATICALLY IN THE RUNNING! Each contribution will automatically be entered (one entry per person please). This will be a unique chance to receive something that is destined to be very scarce! As always, our BIG thanks to Viggo for his generosity!! to keep Viggo-Works on the net... please click on the PayPal button you see at the left on this News Page.